That breaks down to 2,696 Box Tops & 238 bonus Box Tops. The check for this submission will be issued in December. 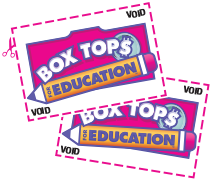 The next deadline for Box Tops is 3/1/18. Thank you to all who clip, save & turn in Box Tops for our school!